A proposal to build a Dollar General store in Pittsford has been withdrawn, at least for now. Vermont is home to more than 30 Dollar General stores, and there are two within 10 miles of the one that had been proposed for Pittsford, both in Rutland. Dollar stores, and their impact on Vermont villages and locally owned stores, have generated a great deal of controversy in recent years, including one in Chester that was built only after a lengthy legal battle that ended with a Vermont Supreme Court decision. 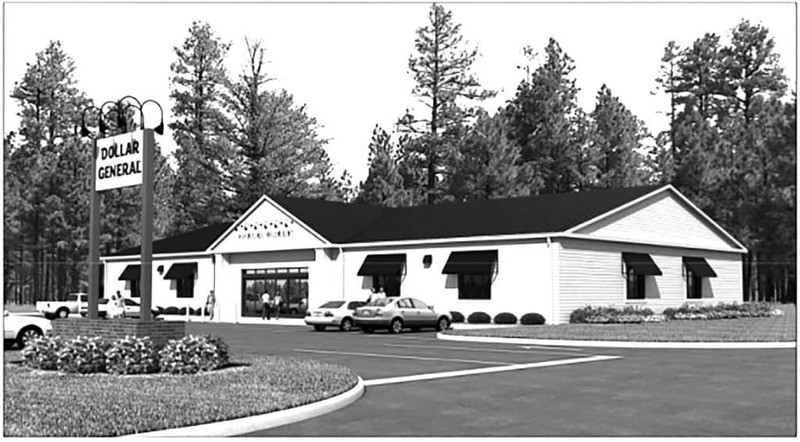 The District 1 Environmental Commission on Monday, May 15, granted a request from an attorney for the developers of the 9,000-square-foot store in Pittsford to withdraw their application for approval under Act 250. After a hearing on the proposal last fall, the commission issued a recess order asking the project developers, Pittsford BTS Retail LLC, to provide additional information. The commission sought, among other things, information about stopping distances for vehicles at a proposed crosswalk on Route 7. The applicant requested to pull the application in order to pursue changes and “to prepare a full application under all 10 criteria at a future date,” John Liccardi, commission chair, said in an order Monday approving the request to withdraw. The order was granted without prejudice, meaning the developers can refile for the project in the future. Attorney David Cooper, representing Pittsford BTS Retail LLC, submitted the letter May 10 seeking to withdraw the application, citing several factors. “In particular, the Applicant may need to make modifications to the intersection at Plains Road and Route 7, and such modifications would require collaboration with [the Vermont Agency of Transportation], which will take time,” Cooper wrote to the commission. At a hearing on the project in September, residents expressed concern about the aesthetic and traffic impacts of the proposed Dollar General store at the planned location. The 2.7-acre parcel is at the corner of Plains Road and Route 7, which some residents at the hearing described as a dangerous stretch of Route 7. A project engineer for the developer presented a traffic study based on information from the state Agency of Transportation. That study showed that the area on either side of the intersection is not considered a high-crash zone. According to the traffic provision in Act 250, the commission will not grant a state permit for a development if it is deemed to cause “unreasonable congestion or unsafe conditions.” For transportation measures, the burden of proof is on the opponent, not the applicant. Kim Keith, a proprietor of Winning Image Graphix, on the other side of Route 7 from the proposed store, said Monday that her concern was the site selected. She said the proposed site was part of a residential neighborhood where children get on and off buses. “It just didn’t fit well,” Keith said. An illustrative rendering for the Dollar General store that was proposed in Pittsford.